$15 for a gift-packaged set of 6 assorted note cards. Each set of the 6 assorted cards (as displayed below) is enclosed in a plastic box. 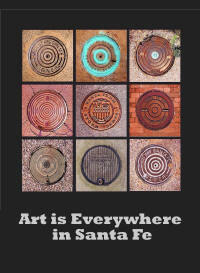 "Art is Everywhere in Santa Fe"
"Common Ground Art in The City Different"